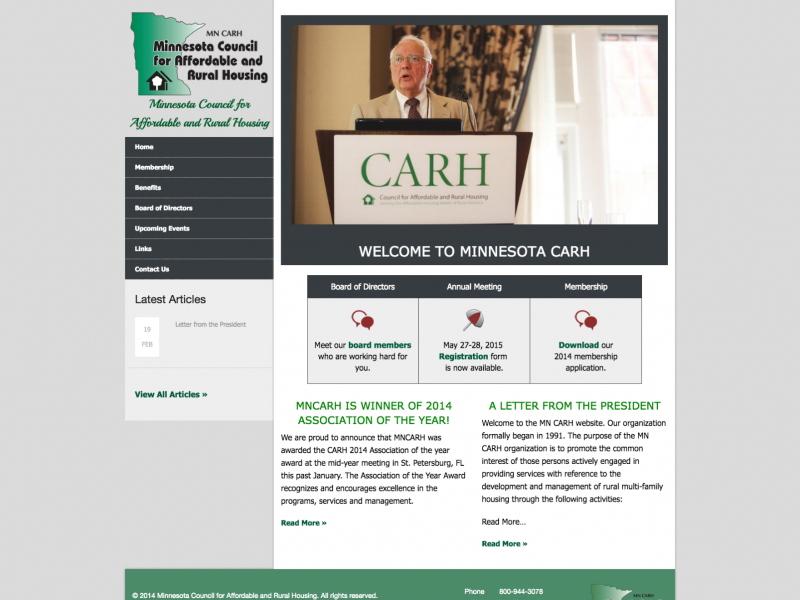 Minnesota Council for Affordable and Rural Housing (MNCARH) is a non-profit trade organization serving participants in the affordable housing profession for 27 years. MNCARH’s goal is to ensure that all people have access to safe, well built, and affordable homes. 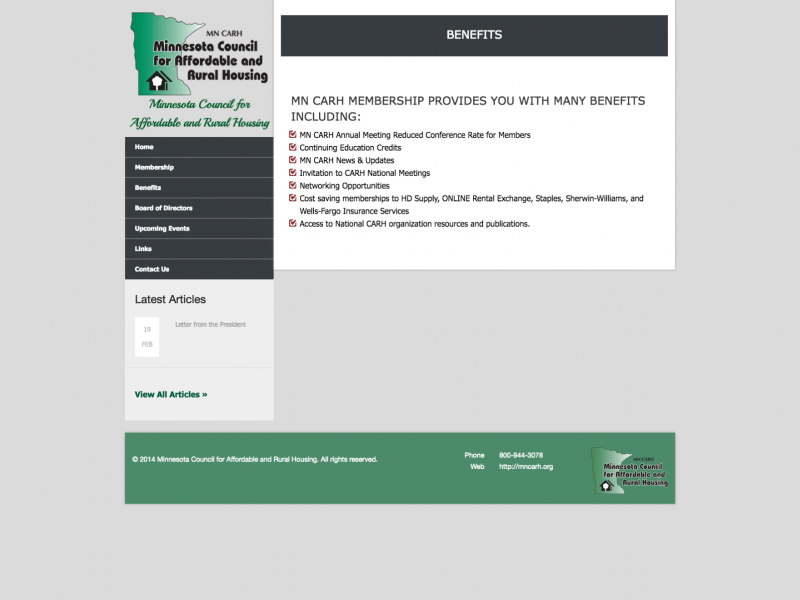 MNCARH membership is available to affordable housing property owners, Public Housing Authorities and/or management companies. 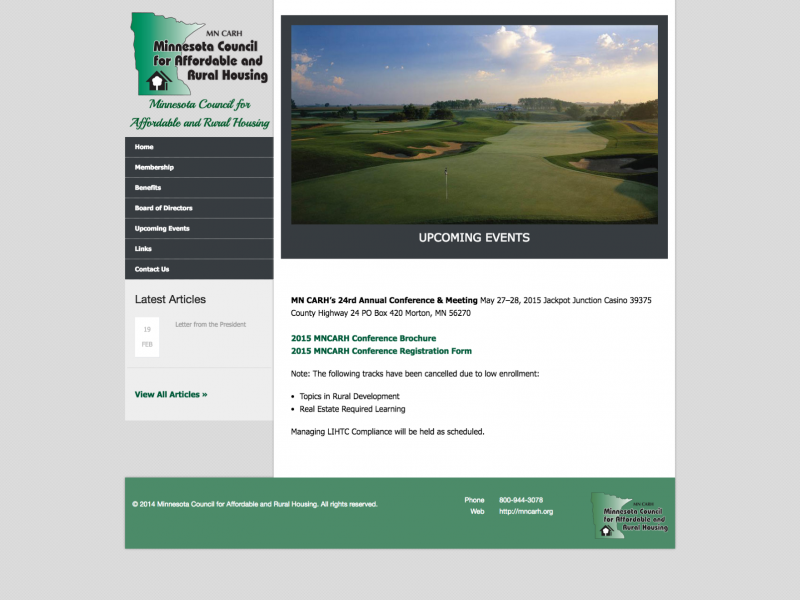 MNCARH has partnered with Streamroll to power the MNCARH web site. 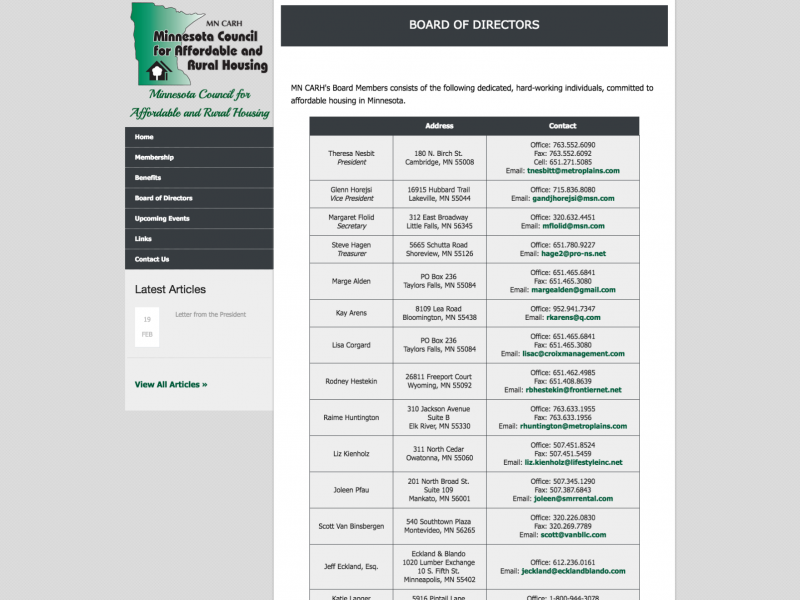 Visit Minnesota Council for Affordable and Rural Housing to learn more about the organization.